"She knew she was needed." 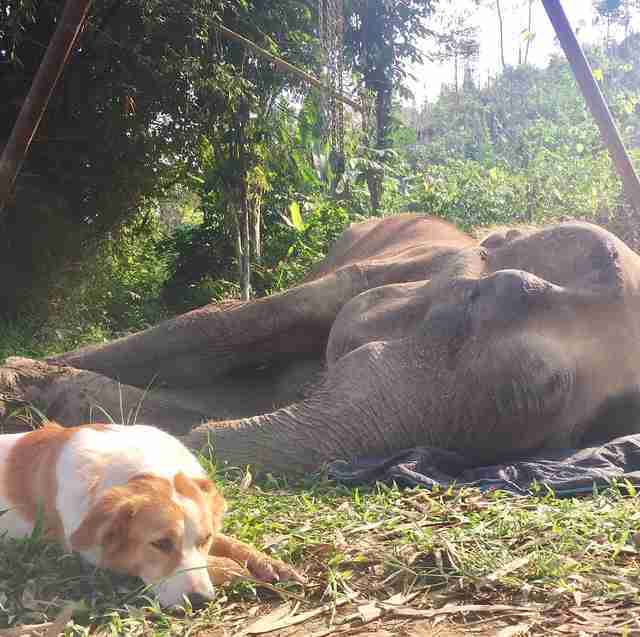 A dog named Pancake has been an important part of an elephant sanctuary in Thailand ever since she was found as a stray three years ago. 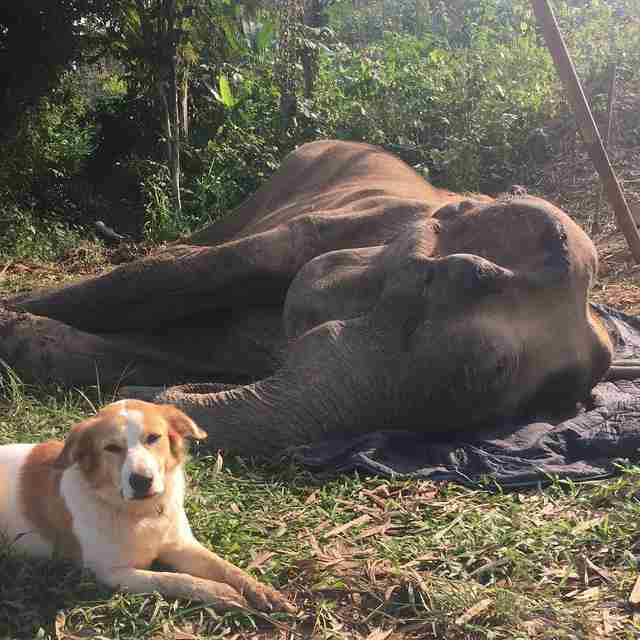 "She was a stray on the beach who was picked on by other dogs," Katherine Connor, founder and CEO of Boon Lott's Elephant Sanctuary (BLES), told The Dodo. 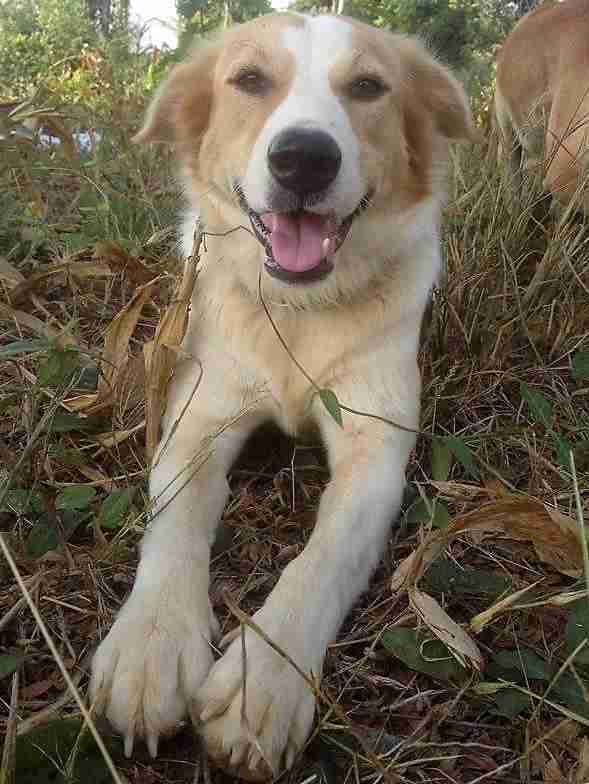 When a supporter of the sanctuary found Pancake, she asked Connor if she would take the dog. "Of course I said yes!" Connor said. "Pancake has been my shadow ever since." 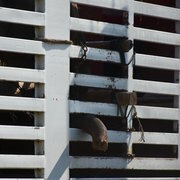 The people and animals at BLES are no stranger to the arrivals and departures that occur there, especially since the sanctuary focuses on taking in elderly elephants after they can no longer work. 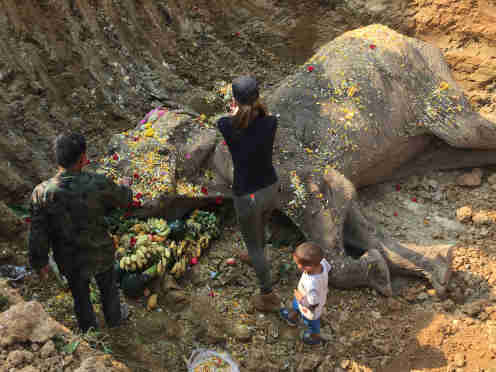 For instance, a couple of years ago, when an elderly elephant named Sao Noi was passing away, her friend, an elephant named Boon Thong, was seen standing next to her, stroking her with her trunk to comfort her. Now, nearly two years later, Boon Thong's own time of need arrived. And thankfully she had individuals who were there by her side, the way she had been for her friend. When Pancake realized Boon Thong wasn't feeling well, she hurried to be with her. While she is far from being an elephant, Pancake has also enjoyed the peace and calm of the sanctuary, and this lends a sense of commonality among the animals saved by BLES. And so Pancake and Connor both sat with Boon Thong for hours this week, as they did the most difficult work of all — remembering her life and ultimately saying goodbye. 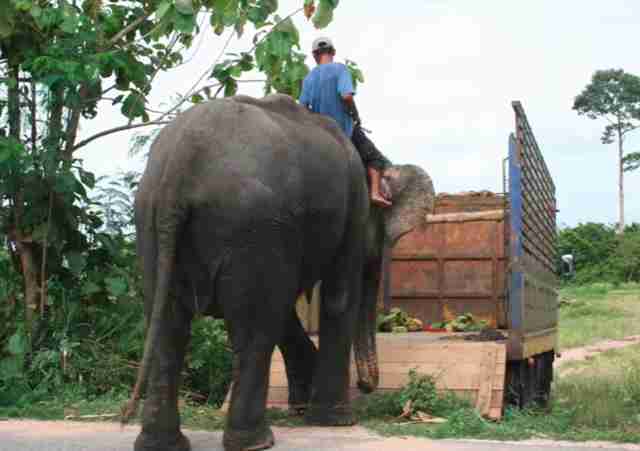 Boon Thong, who was in her 60s, lived the last five years of her life at the sanctuary after being saved from a riding camp, where she was forced to give rides to tourists. "She was used to carry tourists on her back for hours on end and after doing this for almost 30 years, she nearly broke her back," Connor explained. By the time Boon Thong arrived at the sanctuary five years ago, she was exhausted. 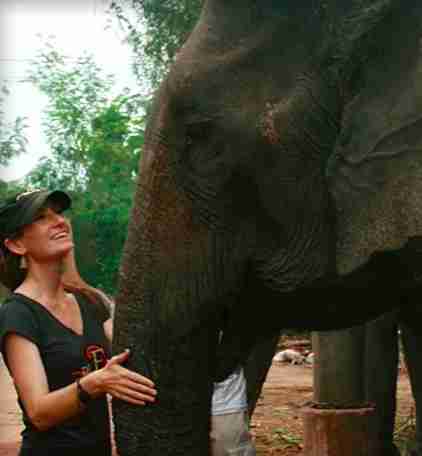 But soon Boon Thong learned just how different the sanctuary was from the life she had known. At the sanctuary she was finally able to be free, to learn her likes and dislikes, to roam and forage in the forest — all things she hadn't been able to do for most of her life. "She was free to be in control of her own life, to make her own decisions, to express herself," Connor wrote in a tribute this week. "Boon Thong was a creature of habit. She had her favorite spots in our release areas that she would always gravitate to during our daily walks. She always scratched on the same tree and she always stopped at the same spot in the stream to throw mud all over herself." Boon Thong wouldn't have given up her life at the sanctuary for anything — and when she lay down this week, it was only because she finally had to let her life go. 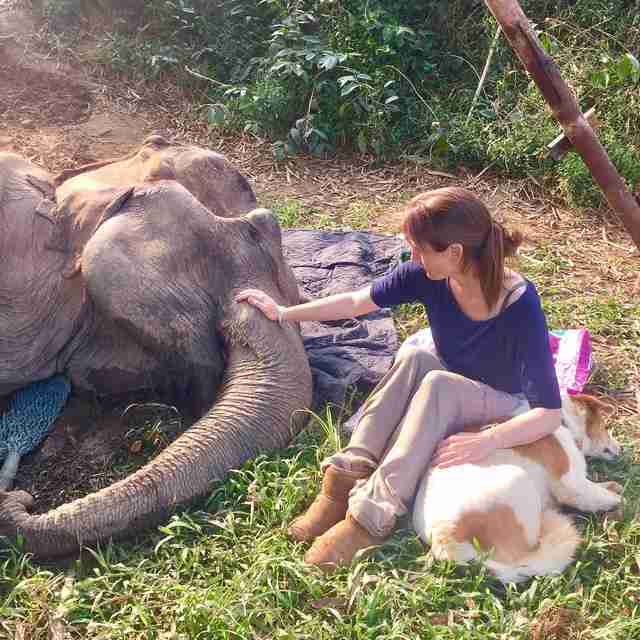 Connor and Pancake sat with Boon Thong for nine hours while she slowly passed away. "Pancake, with that beautiful heart of hers, did not leave Katherine or Boon Thong once," BLES wrote on Facebook. "She knew she was needed, to offer support and she quietly lay beside Boon Thong, until sunset — until the final breath." Boon Thong's body was buried on the sanctuary grounds, surrounded by fruit and flowers, and beside her old friends — including Sao Noi — so she can always be close to the individuals who loved her. To help the people at BLES give these elephants the lives they always deserved, you can make a donation.